NYC Immigration Lawyers, Naturalization, Green Cards, Deportation Defense, Brooklyn, New York - How Do I Get A Work Permit (Employment Authorization Document - EAD)? 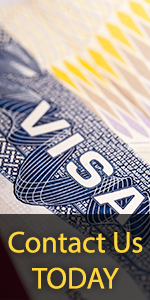 » How Do I Get A Work Permit (Employment Authorization Document - EAD)? How Do I Get A Work Permit (Employment Authorization Document - EAD)? · EAD: This document proves you are allowed to work in the United States. · Renewal EAD: You should apply for a renewal EAD six months before your original EAD expires. · Replacement EAD: This document replaces a lost, stolen, or mutilated EAD. A replacement EAD also replaces an EAD that was issued with incorrect information, such as a misspelled name. The Immigration and Nationality Act is a law that governs the admission of all persons to the United States. For the part of the law about Employment Authorization Documents, please see INA § 274A. The Code of Federal Regulations [CFR] discusses the employment authorization responsibilities of both employers and employees at 8 CFR § 274a. · The specific categories that require an Employment Authorization Document include (but are not limited to) asylees and asylum seekers; refugees; students seeking particular types of employment; applicants to adjust to permanent residence status; people in or applying for temporary protected status; fiancés of American citizens; and dependents of foreign government officials. Please see Form I-765 (Application for Employment Authorization) for a complete list of the categories of people who must apply for an Employment Authorization Document to be able to work in the United States. · If you are a U.S. citizen, you do not need an Employment Authorization Document. · If you are a lawful permanent resident or a conditional permanent resident, you do not need an Employment Authorization Document. Your Alien Registration Card proves that you may work in the United States. · If you are authorized to work for a specific employer, such as a foreign government, you do not need an Employment Authorization Document. Your passport and your Form I-94 (Arrival-Departure Record) proves that you may work in the United States. Please see 8 CFR 274a.12(b), which provides a full list of the categories of people who do not need to apply for an EAD. You may be eligible to file Form I-765 electronically. Please see our Introduction to E-Filing USCIS Forms for more information. The procedures for forms electronically filed with USCIS are different than described in the following paragraphs. If you are not eligible for electronic filing,you must file an Form I-765 (Application for Employment Authorization) by mail with the USCIS Regional Service Center that serves the area where you live. Please read the entire application carefully and submit the right documents, photos, and fee. Forms are available by calling 1-800-870-3676, or by submitting a request through our forms by mail system. For further information on filing fees, please see USCIS filing fees, fee waiver request procedures, and the USCIS fee waiver policy memo. Please see our USCIS Field Offices Homepage for more information on USCIS Service Centers. Please see our information on checking the status of your application . Please click here for more information on USCIS field offices. If your application for an Employment Authorization Document is denied, you will receive a letter that will tell you why the application was denied. You will not be allowed to appeal a negative decision to a higher authority. However, you may submit a motion to reopen or a motion to reconsider with the office that made the unfavorable decision. By filing these motions, you may ask the office to reexamine or reconsider their decision. A motion to reopen must state the new facts that are to be provided in the reopened proceeding and must be accompanied by affidavits or other documentary evidence. A motion to reconsider must establish that the decision was based on an incorrect application of law or USCIS policy, and further establish that the decision was incorrect based on the evidence in the file at the time the decision was made. For more information, please see How Do I Appeal the Denial of Petition or Application?.